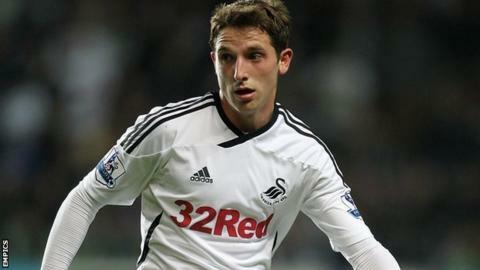 Liverpool have completed the signing of Swansea's Wales international midfielder Joe Allen. Allen, 22, was at Anfield on Thursday as Liverpool beat FC Gomel 3-0 and passed a medical on Friday. He becomes Brendan Rodgers's second signing after the capture of Italy international striker Fabio Borini. Joe's ability to control and dominate the ball is an important ingredient in our attempt to gain success on the field. "I feel incredible. Everyone knows the history of this club, it's a massive club, and I'm delighted to have joined," he told the club's website. "The passion that people here have for football is something I share and I want to be part of that. "I'm looking forward to being part of some great years ahead for Liverpool." Rodgers believes Allen will play a key role in helping him impose his style of play on the Liverpool team. Allen was crucial to Rodgers's system at Swansea and expects the Welshman to do a similar job at Anfield. "I'm absolutely delighted that Joe has made the decision to come with us on this journey," Rodgers said. "Joe is a player whose profile will fit perfectly with the ideas of this group. His ability to control and dominate the ball is an important ingredient in our attempt to gain success on the field. "Joe has had a fantastic education at Swansea City and will now begin the next chapter in his exciting career." The two clubs opened negotiations over a deal for Allen last month, but the Anfield club's opening bid was rejected. Rodgers offered about £12m plus fellow midfielder Jonjo Shelvey on loan, but that deal was turned down by Swansea chairman Hugh Jenkins. Although the new Liverpool manager has a written agreement with Swansea not to return to his former club to try to sign any of their players for the next 12 months, the Welsh club can waive that clause if a deal is deemed to be in the best interests of the club.